A diverse range of A-Frames and A-Boards printing include options for every retail, restaurant or outlet to display their branding on the pavements outside the establishment. 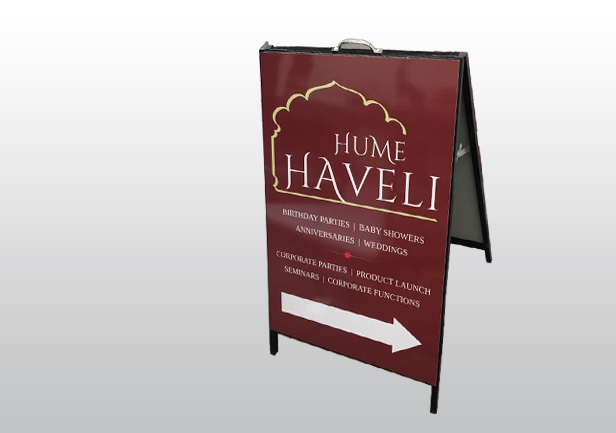 Same day A-Boards printing can be done under any budget. We also offer a range of chalkboard panel instant A-Boards printing, including our updated and improved quick pavement signs. The new version of Pavement Sign Boards has unique indestructible rubber hinges which allow for feet to self-level on uneven surfaces.